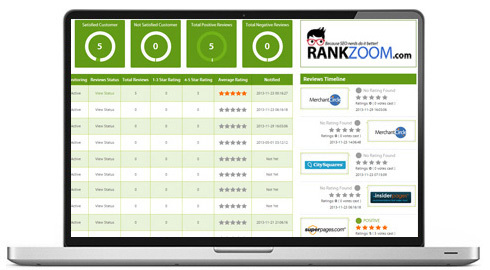 At RankZoom we believe that that managing your reviews and building your online presence is important for any business. Our programs can be tailored to fit any size business in any industry. 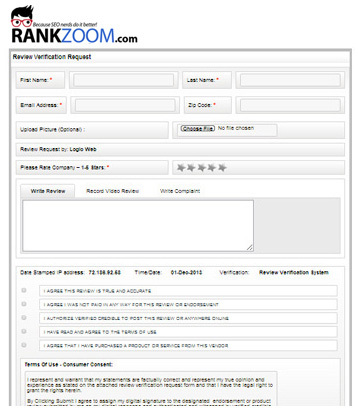 We can scale our solution, whether you are single location, multi-location,franchise or a nationwide business RankZoom has a program to meet your needs. Our all inclusive reviews management dashboard connects you to all that matters in the world of review management and review development. Our reviews management software helps you to be proactive in collecting reviews from your best customers and turning those reviews into solid 100% Buyer Confidence. The evolution of social media has created a need for every business to maintain a reputation management and monitoring system to ensure protection of their Brand and Image. The multitude of customer engagement platforms online offer an opportunity for a company to position itself as a highly reliable provider of goods and services. A valuable resource that can greatly enhance reputation management is the feedback from customers, particularly those who are satisfied with your company's products and services. Our Software Platform and Kiosk Tools allow our customers to capture positive reviews almost immediately and broadcast those Positive Reviews across the web. Our software gives our clients a unique advantage of capturing customers at their peak engagement with their product or service and then leverage that positive experience to help increase star ratings online. The beauty of this is that a number of positive reviews can be posted in any given time, increasing star ratings and driving consumer confidence. Another key feature our system offers is the ability to handle customer complaints in real time which shows that problems are understood and being quickly addressed. Reputation management is the key to maintaining local business prominence and to ensure your company is seen in a positive light by existing and future customers online.